Domestic EPCs for Maidstone Chatham Gillingham Medway and throughout Kent. 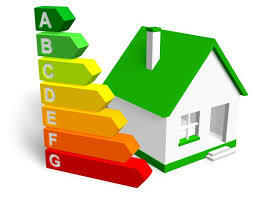 An Energy performance certificate is a document produced when either a Home Inspector or Domestic Energy Assessor visits a property to compile a report whereby data is later uploaded into a specifically designed piece of software in order to generate your EPC rating and carbon emissions, this document will always be accompanied by a recommendation report that lists cost effective and other measures (such as low and zero carbon generating systems) to improve the energy rating of the building. The certificate is also accompanied by information about the rating that could be achieved if all the recommendations were implemented. Room in the roof if there is one. Any extensions present and age. Heated habitable room count if all are not heated. Main wall construction and insulation type, if any. Extensions wall construction and insulation, if any. Number of open fire places. Proportion of fixed lighting outlets that our low energy. Is the whole house mechanically vented? Main roof and extension roof construction i.e. Pitched or flat. Solar water heating, if any. Proportion of double glazed windows. Double glazing type i.e. Pre 2002, 2002 onwards. Floor dimensions including ceiling heights and heat loss perimeters. Electric meter (single or dual rate). Boiler details (combination, condensing etc) including flue type and age. Cylinder insulation thickness, size and thermostat present. How your hot water is heated. The new government has now suspended the Home Information Pack which did include an EPC for potential buyers. The EPC in the HIP was valid for 3 years but this has now changed to a standalone EPC for a home that’s put up for sale is now valid for 10 years. If you are a landlord, you’ll need to make an EPC available to prospective tenants the first time you let a home after 1 October 2008. An EPC is only required for a property which is self-contained, and is valid for 10 years. All completed EPC are valid for 10 years and are available for anyone to download and view (free of charge) from the national database, www.epcregister.com by entering the known RRN (24 Digit Report Reference Number) or simply the property’s postcode and selecting from the list provided.